I’ve been working with the team at Herrang Dance Camp over the last few months; a world renowned annual dance camp in Sweden, undertaking illustrated icon designs for their website. They’ve been a pleasure to work with and I’ve loved the experience of creating something as challenging but fun as dance illustrations, simplified down to a simple icon. 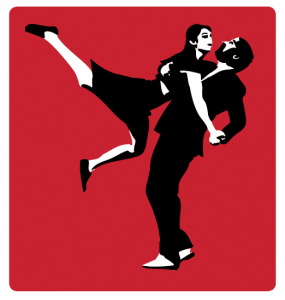 It’s a pretty tough call to symbolise a dance in a single static icon but I am really pleased with the results which may also translate well for use on other promotional materials. They’ve already got some great retro branding (which I didn’t do) and logo, but I worked with their style and colours to come up with some pieces which fitted this. I hope you like them!